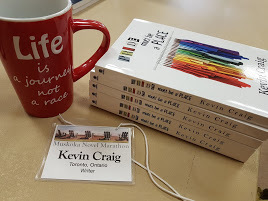 I’m just back from the 2010 Muskoka Novel Marathon…and boy, am I tired! What’s a novel marathon, you may ask? 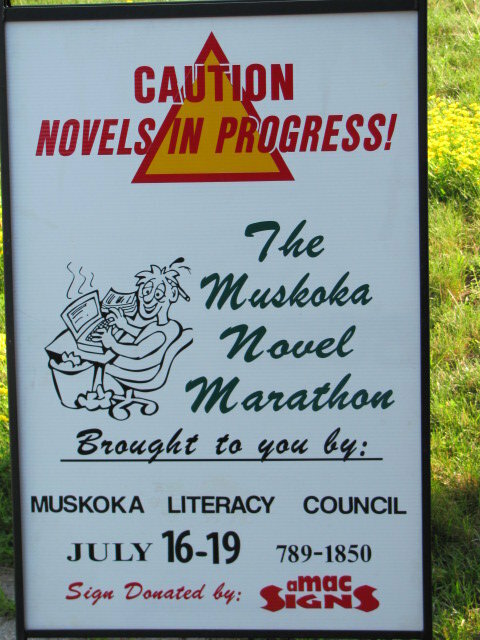 2010 Muskoka Novel Marathon – Huntsville, Ontario July 16th-19th. Novels in progress…that’s what the marathon is all about—from a writing perspective. 30 writers commit to writing a novel in one weekend. They put B.I.C. (Bum In Chair, for the uninitiated) and they WRITE! There is a duo purpose to the marathon, though. It is also a fundraising campaign for the Muskoka Literacy Council. In order of importance…this reason is the marathon’s TOP priority. When you’re there, though—in the thick of it, pounding away on your keyboard in a mad race to get to the end of your novel before the weekend ends—it’s hard to remember what it’s all for. What is it for? The marathon was created to allow WRITERS to help READERS. The Muskoka Novel Marathon novel writers find people to sponsor them while they spend their weekend writing. Those sponsors support the literacy council’s efforts. And it’s not such a bad deal for the writers, either…it’s a wonderful weekend where you actually get to B.I.C. to your heart’s content…chase those words out from the dark corners of your mind and help them to blossom onto the page. And you get to do it in the company of other writers. Yes…it’s true. The organizers are able to rustle up 30 writers willing to take part in the marathon every year! I’m home now…exhausted from lack of sleep. But do I want to rest? Not really…the inspiration one gets from a journey such as this doesn’t really allow one to stop to take a nap. I want to read what I wrote…I want to EDIT what I wrote. I want to WRITE. 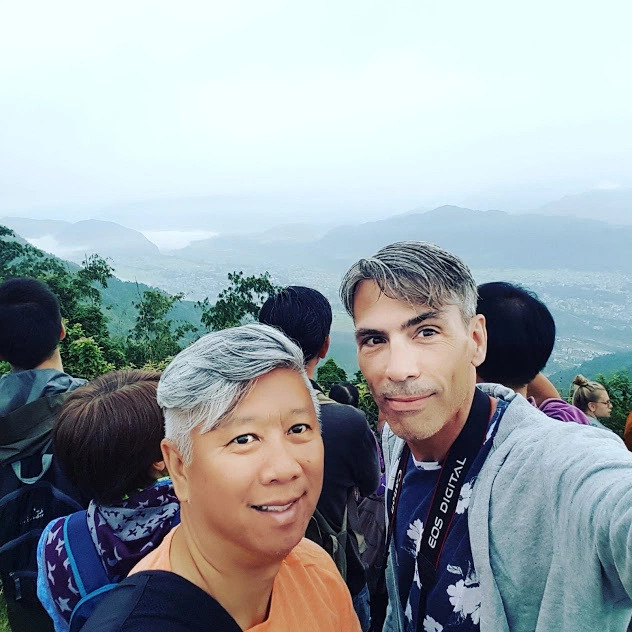 What a wonderful weekend! In September, all the participants will have a reunion–just like in previous years–and awards will be handed out. There will be a BIC Award, as voted by fellow marathoners, for the writer who, well kept their Bum In their Chair the longest. There will be a Spirit Award. Best Novel Awards–as decided on by a panel of judges. It will be a celebration. And it won’t matter at all who wins what—because we ALL won. We all helped raise needed funds for the Muskoka Literacy Council. We all helped to give a voice to literacy issues faced by thousands. Writing a novel in 72 hours? It can happen.